CRUISIN AUTOMOTIVE is the only authorised W.A. dealer for Brookville Roadster. We ship Australia wide, supply and install. Come and see our Brookville bodies and parts on display and in stock at our Hot Rod shop in Malaga. 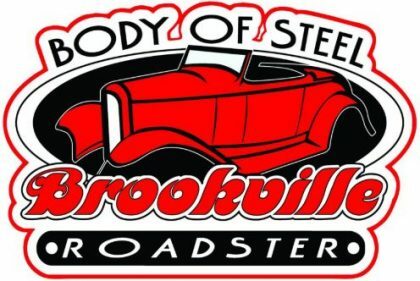 Brookville Roadster has been reproducing 1928-32 Ford reproduction bodies and parts for over 30 years. 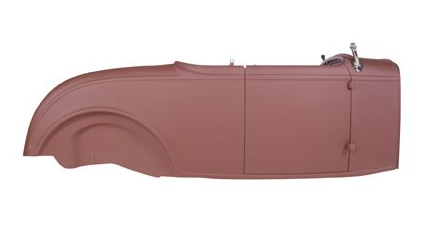 As the industry leader in reproduction 1928-32 Ford replacement parts Brookville Roadster have become world famous for our quality and customer service, and sets the standards for today’s street rod industry. They manufacture seven different all steel 1928-32 roadster, roadster pickup and coupe bodies. 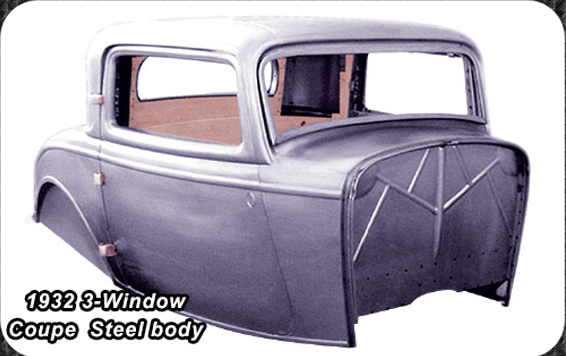 The All Steel ’32 Three Window has been one of Brookville Roadsters most ambitious projects to date. After many years of research, development and using the most sophisticated engineering and digital measuring methods they created a truly accurate yet more precise reproduction of this classic body. The Three Window features the same gauge metals, stamping details, internal bracing and wood components found in the original. An added bonus is the benefit of modern welding and finishing techniques and our exclusive one-piece whole body-side stamping. At the same time, every panel from this new body is interchangeable with the factory original. If you have always wanted a “Little Deuce Coupe,” this one if for you. Steel reproduction bodies and parts, fenders, trunk lids, doors, hinges, running boards and fender braces.